The footage was filmed at Hofstra University in Hempstead, NY yet these shows were not part of regular tour listings, but scheduled for filming purposes only. Three songs are known, yet no video source of these tracks has surfaced yet. 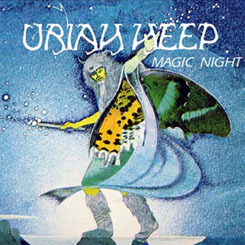 The original audio for the first two songs was included as bonus tracks on the Magic Night silver disc bootleg recording as bonus tracks with the Germersheim Germany May 21, 1972 recording.